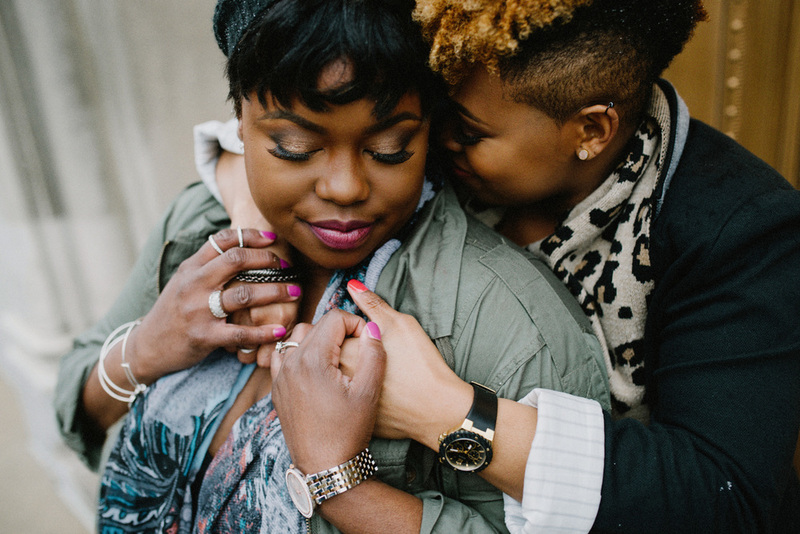 Cierra + Erica are one of those couples that leave you with goosebumps. 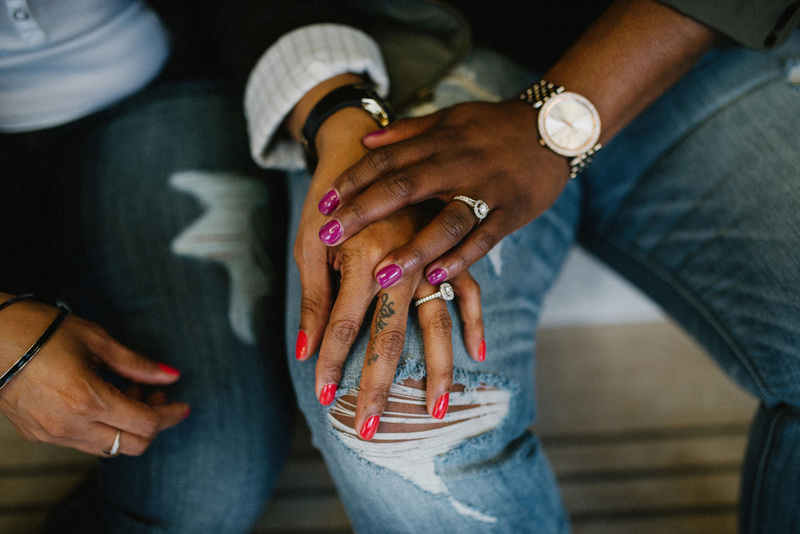 These women have a love that runs strong and deep and I am honored to have the opportunity to share their story. When Cierra first contacted me, before even meeting her or her fiancé, I knew I HAD to have this wedding, I had to be in the room to witness. She shared in her inquiry that Erica had written her love letters titled “Why I love you today.” for 1000 days. You read that correctly, ONE THOUSAND DAYS. 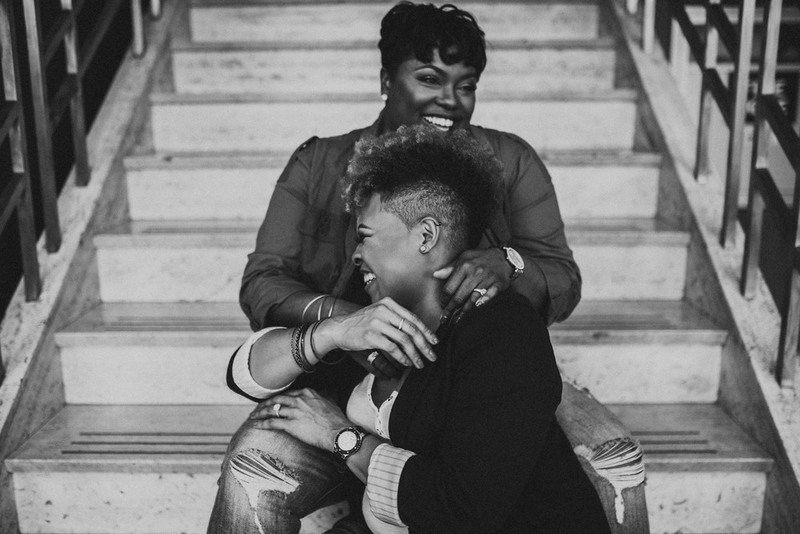 And then, as if it couldn’t get any sweeter, had friends and family, both in person and via video read these love letters during the proposal. Yes, heart in a puddle, all over the floor. 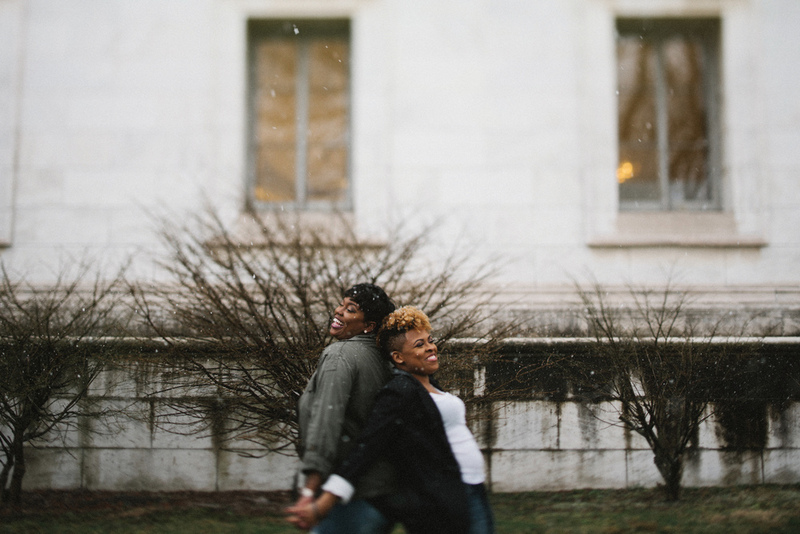 During their engagement session last week in Detroit we encountered some interesting weather (freezing rain) but that didn’t prevent us from making beautiful, full of love and laughter images. We ducked inside to grab a drink and warm up for a bit and while we were talking Cierra said to me “I’m her gray, and she is my black and white.” They compliment and support each other in the all the most perfect ways. 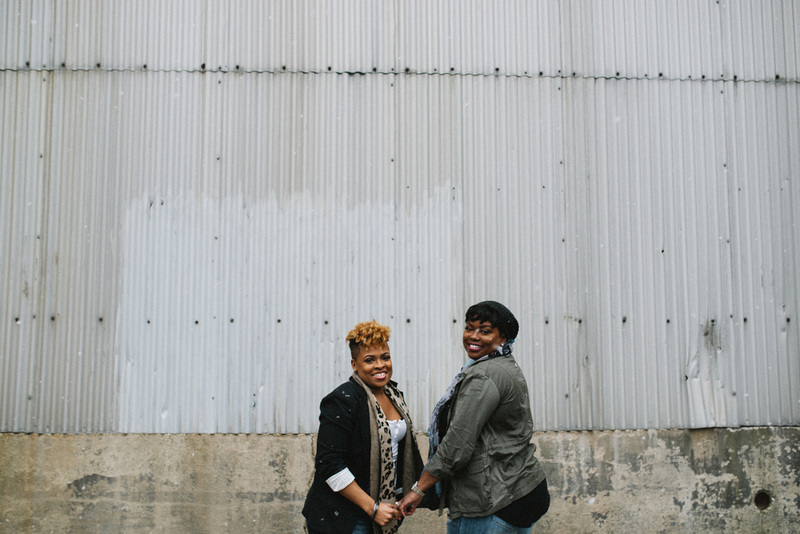 Early this fall they will host their “Roaring Twenties” themed wedding at Cliff Bells, also in downtown Detroit. I am going to need an era appropriate outfit, and a lot of kleenex.